Milk doesn't necessarily have to be eliminated from your diet if you are counting calories to lose weight. In fact milk can be a valuable source of nutrients such as potassium, vitamins A, B2 (riboflavin), B3, B6,B12, D, E & K, calcium, magnesium, phosphorus, zinc and selenium. Milk also provides a complete source of protein for growth and development, a natural source of carbohydrate for energy and is full of antioxidants. Wow, that's pretty good stuff. Adults need the nutrients in milk to help slow the bone loss that occurs naturally with aging. 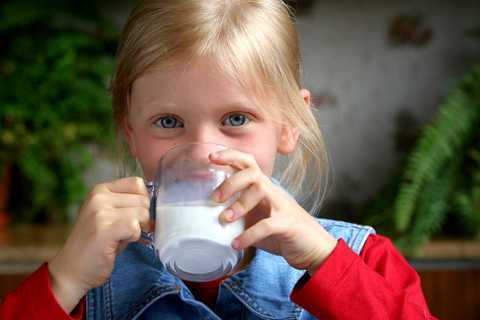 Of course kids need milk because they grown so fast, milk gives their bodies energy and promotes those strong bones. When counting calories, just be aware of the amount of calories a glass of milk contains. Our chart below gives the average amount of calories across all brands.